Since the 1600’s the Connecticut coastline has been a center for shipbuilding and maritime enterprises. As the ‘Age of Sail’ began to fade in the 20th century, three visionaries from Mystic, Connecticut saw the need to preserve the history and traditions of America’s seafaring past. Together they worked to establish in 1929 what would become the nation’s largest maritime museum, Mystic Seaport, The Museum of America and the Sea. The 19 acre museum along the banks of the Mystic River features a recreated 19th-century seafaring village, tall ships, galleries and, what museum dedicated to a seafaring past would be complete without a lighthouse. 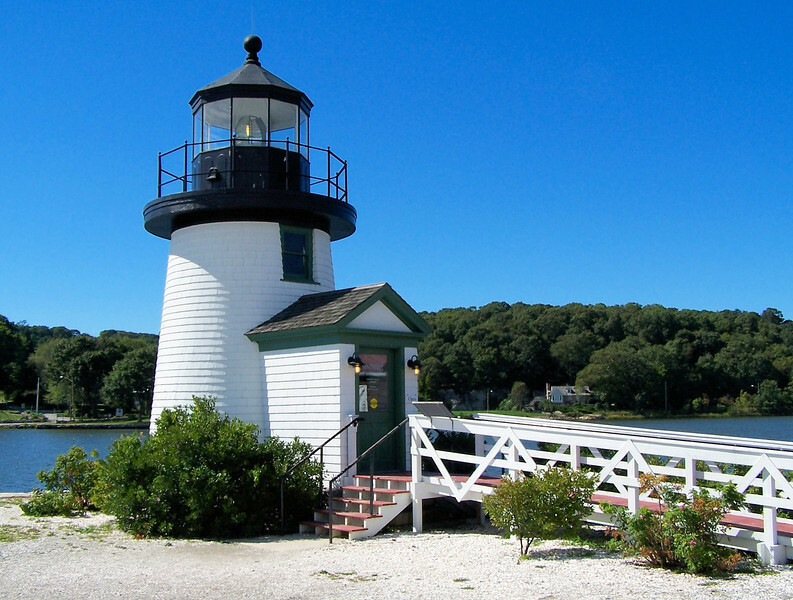 Although a different lighthouse was originally designed for the Museum, the plans used for the lighthouse built at Mystic, Connecticut are based on the 1901 wooden lighthouse built at Brant Point on Nantucket.